Whether I’m planning on showcasing my dogs or just sprucing them up to keep them clean and presentable, I find that having a reliable pair of clippers really makes the whole job of grooming so much easier and less stressful. It also saves a lot of money and time spent driving too and from the groomers, and with a little practice it’ll become second nature. 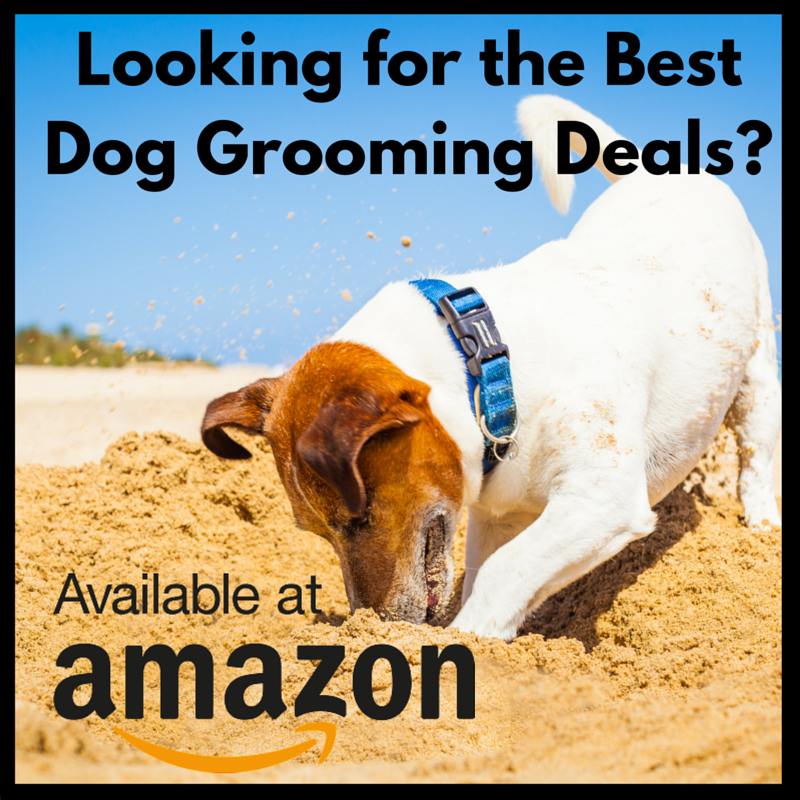 Below are some reviews of Masterclip clippers, which are the perfect choice for both amateur and professional dog groomers alike. 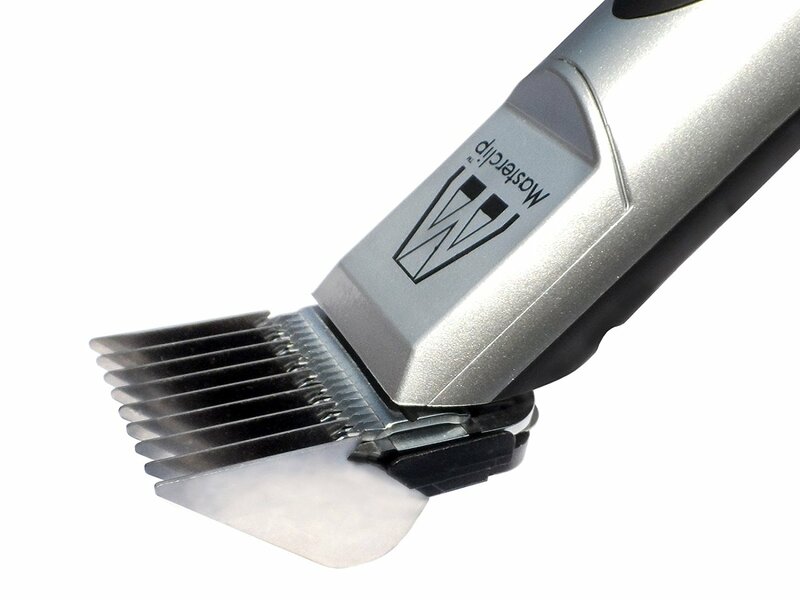 The Masterclip Pedigree Pro is one of two clippers that Masterclip produce, and it’s considered their flagship model retailing at around £80. 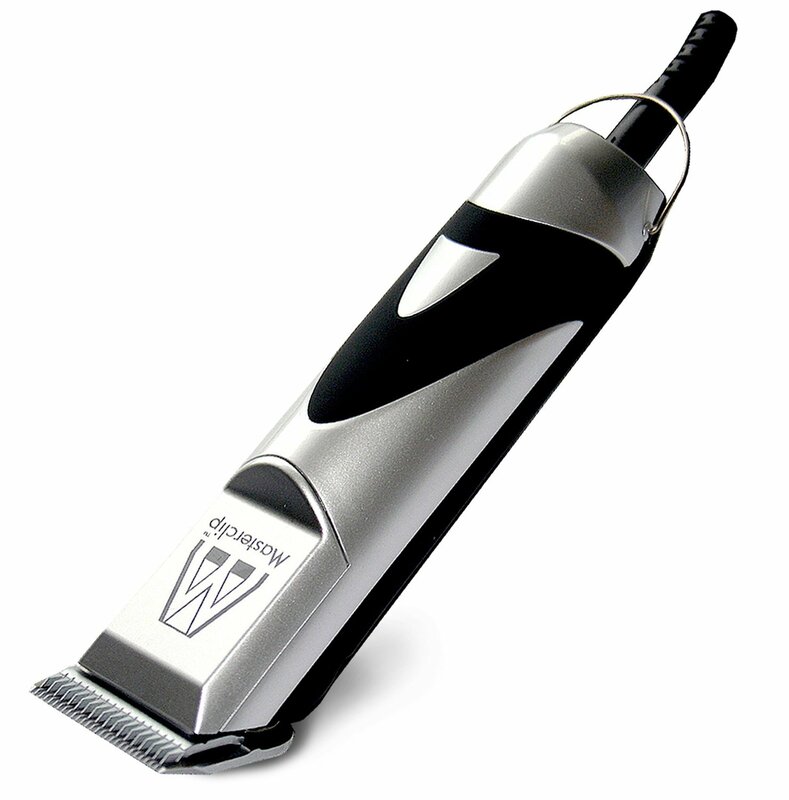 The clippers have two different speed settings working at 2300 and 2900rpm, which helps to cut through tough coats and is also accompanied by a two-year warranty. It has a long cord that is easy to move around your dog, which maintains a constant supply of power, so there’s no need to worry about dying batteries. It also comes with a generic set of German steel blades that are intended for use on all breeds of dog, although thinner coats will obviously cut more easily. The clipper itself is nice and relatively lightweight, weighing in at just over 375 grams, which I found made it easier to manoeuvre around difficult areas. Other models I’ve used have been a little heavy, and strain my wrist. As for the temperature the clippers seems to heat up a little quicker than expected but soon cooled down when turned off momentarily. Overall these seemed like a good reliable pair of clippers that will certainly get the job done. I just wish they came with a few more accessories like some comb guards and maybe a lubricant sampler. If you want to save yourself some money you can by the Pedigree ﻿﻿Pro Professional Dog Clipper Set. This includes the Pedegree Pro clipper as standard, but also a set of breed-specific grooming blades in sizes 10, 4F and 4, which are used for different parts of the body. This set retails at about £129, but again the higher cost will save you lots of money in the long run. The blades came in separate plastic packs and were easy to attach to the clippers, and with regular oiling and clipping only clean dogs, these should last a fair time before they need to be sharpened again. 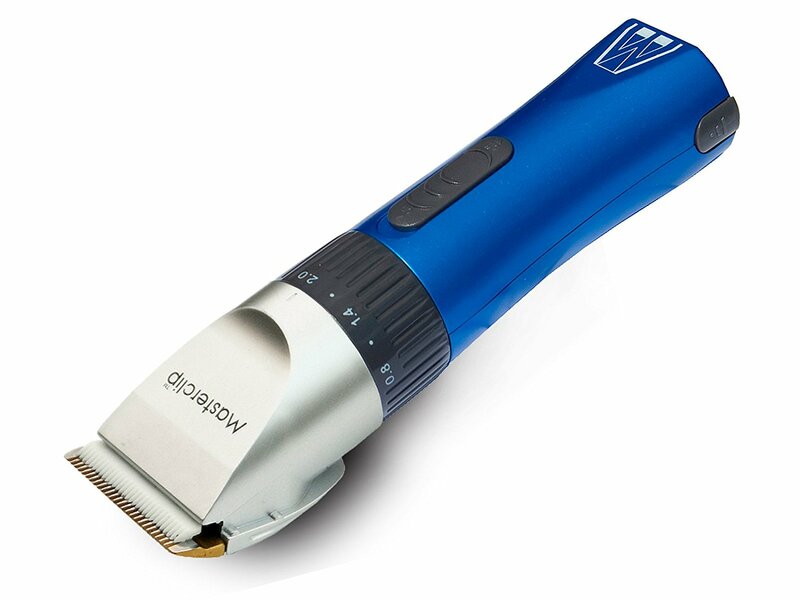 For a more portable and convenient clipper the ﻿﻿Showmate seems to work well. It comes in three colours, green, blue and pink and is lighter than the professional model weighing in at 227g. This made it even easier to handle and it was comfortable to hold in the hand. This kit comes in an aluminium case and is accompanied by a number of handy accessories as well, such as two rechargeable batteries each with a one-hour grooming charge, four different comb guards (3mm, 6mm, 9mm and 12mm) and a two-year warranty. Unfortunately the clipper isn’t quite as effective with the comb guards attached and so a few patches needed to be trimmed again. But for a portable and reliable set this one did the trick, and at £59.99 it was a bargain considering all of the accessories thrown in. When operating, the clippers were generally quite quiet and didn’t pose any problems with my dog, plus they remained cooler for long periods of time. It does state however that these are designed for light to medium density coats, and so if you’ve got a dog with thick hair then perhaps the Pedigree Pro clippers would be a more suitable choice.